Grandmaster Professor Yu Yong Nian passed away on 7th October 2013, aged 93. For a memorial to this revered teacher of I-Chuan (Da Cheng Chuan) please see: Myths and Legends. Welcome to the Yongquan Martial Arts Association web site. Our aim in maintaining this site is three fold. Firstly to provide a resource for our members and students and any other interested party. Secondly to provide a platform for the dissemination of information on Martial Arts in general and Chinese Internal Arts in particular. And thirdly to link together, as much as possible, with the Internal Arts community to increase the sum total of knowledge available to people interested in the Internal Martial Arts. To these ends we will provide details of our organisation for our members, potential members and students, host articles from our own members and anyone else who cares to submit them (provided they are not libelous or slanderous) and add links to our links page, on request, from anyone hosting a Martial Arts site who wishes to have a link for their site placed there. If you wish to add a link for our site to yours please feel free. In 2000 the name was changed to the Yongquan Tai Chi Chuan Association, to acknowledge the growing student base outside Middlesex University, and was finally changed, in 2001, to become the Yongquan Martial Arts Association, to reflect the martial nature of our Tai Chi Chuan practice and the other martial disciplines studied under the Yongquan Banner, including: Bak Hsing Choy Lee Fut, Hsing-I Chuan, I-Chuan, Chin Na (Chinese grappling and throwing techniques), weapons Forms and some Northern Shaolin. 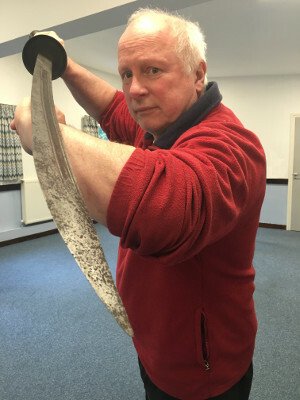 The Yongquan Martial Arts Association now has a good proportion of Hsing-I practitioners and an exchange of arts and ideas has further enhanced the Yongquan repertoire.